OIL AND GAS exploration company Providence Resources expects to start drilling its multi-billion-euro well in the Celtic Sea as early as next year. The Dublin-based resources firm said negotiations were at an “advanced stage” and it was planning to start pre-development offshore drilling at the Barryroe oil field about 50km from the coastline near Cork. In 2013, analysts predicted up to 478 million barrels of oil and 267 billion cubic feet of gas could be produced from the site, returning as much as US$28 billion (€22 billion) at then-current prices. The Irish government can expect a minimum 25% tax windfall on any profits made the well, although its rates are among the lowest petroleum-extraction tariffs in the developed world. Providence also plans to carry out earlier-stage drilling next year at the Spanish Point gas field directly west of Ireland, while also seeking permission from Irish and UK authorities to develop another field halfway between Wexford and the Welsh coast. The company today released its half-yearly financial results which showed it was running at an operating loss of €3 million for the first half of 2014 – down from €3.3 million for the same period in 2013 and on its way to a €7.2 million loss for the full year. Its share price jumped about 3.5% this morning which boosted the company’s value to about €105 million, but it is still worth a fraction of its market price from two years ago. Providence hit a road block early last year when it decided to surrender its license at the Kish Bank Basin off the Dublin coast, although the company has said it plans to reapply to carry out exploratory work at the site. Some of the proposed drilling area near Dalkey Island has been earmarked for a special conservation area to protect the region’s reefs and porpoise population. Meanwhile, Providence said that it had taken out two new loans in June worth a total US$24 million (€19 million) and was continuing exploration work in at least another eight offshore sites. Chief executive Tony O’Reilly said the Barryroe field was the company’s top priority and it was working hard to return cash to the business through the project. READ: INFOGRAPHIC: How does oil get to Ireland? 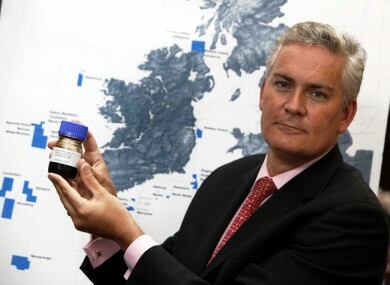 Email “Irish oil explorer gears up for drilling at billion-euro well near Cork coast”. Feedback on “Irish oil explorer gears up for drilling at billion-euro well near Cork coast”.